But what sometimes happens is this: people don’t position themselves for success. They fall into certain traps that might have been avoided if they had just paid heed to a few bits of advice. 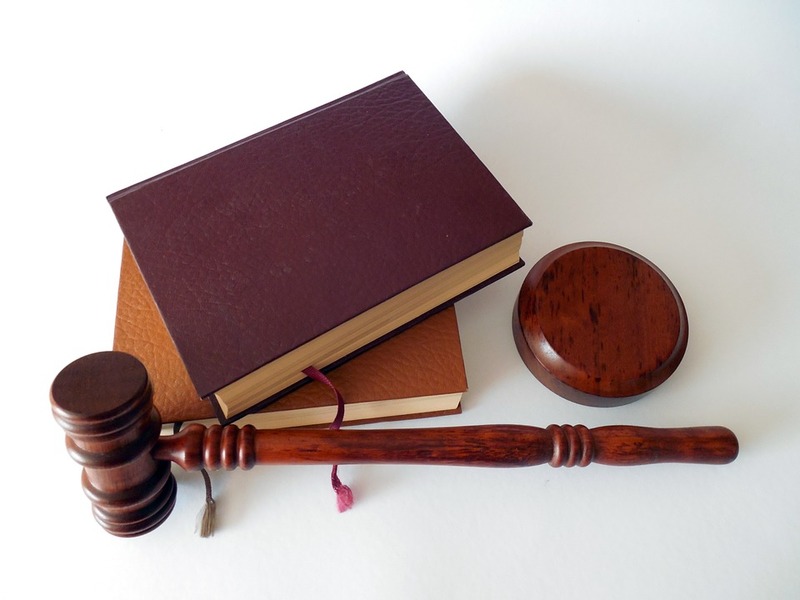 Here are the best ways of avoiding getting a motion to revoke your probation or diversion. Number 1. You must want to succeed. Sounds like common sense, doesn’t it? Except that this type of common sense is not as common as you might think. Some people go into the game with the wrong frame of mind. They are defiant. They don’t want to be there. They have a self-destructive impulse. Whatever. If you don’t go into the game with the right attitude, you’re not going to make it. You’re going to drop the ball, one way or another. And then more bad things will happen. So the first step is to have the right mindset. Remember: if you are unwilling to participate in your own rescue, even the most determined lifeguard can’t save you. Take charge of your life. It’s your life. Number 2. Understand the terms and conditions of your probation or diversion. You should have gotten a copy of the terms and conditions of your probation or diversion from the court clerk. This is, without doubt, a court order. You are required to do certain things. If you don’t do these certain things, bad things will happen. So, go through the document which established your diversion or probation. If you have to schedule a drug or alcohol evaluation, do it. And calendar it. If you have to schedule regular meetings with a probation or diversion officer, then do it. And calendar it. Make sure you know your officer’s contact name, phone number, and email address. If you have to pay certain fines and costs, make sure you budget for that also. Pay particular attention to due dates. If you are coming up on a due date and can’t pay, make sure you act to let someone know (your attorney or probation officer) so that remedial action can be taken. Remember, probations and diversions are court orders. Number 3. Establish a good relationship with your probation or diversion officer. I can’t stress enough just how important this is. These court officers have a tremendous amount of power. They can say good things about you, or they can say bad things about you. And very often, the judges value their opinions highly. When you first were put on probation or diversion, you probably had some sort of intake meeting with your officer. That is the time to shine. That is time for you to make a good impression on the probation officer. Remember that these people meeting with dozens of people every week. Most of the people they meet are not making their lives any easier. Probation officers have heard the same excuses and evasions a thousand times. So you can really stand out as a good person if you show a willingness to cooperate, have a good attitude, and are engaged in the whole process. It’s all a matter of perception. And believe me, when it comes to probation or diversion officers, their impressions matter. So, make sure you have a good rapport with them. Another reason to establish a good rapport with them is that you are going to need a helping hand every now and then. When someone is on probation, mistakes can happen. You may forget to show up for an appointment. You may need an extension to pay some fines or costs. Any number of things can come up. And in situations like that, some probation officers are willing to overlook minor problems if the person otherwise has a good track record. In other words, everyone needs people to speak well of them. If someone likes you, this is a good thing. If someone doesn’t like you, this is not a good thing. Number 4. Stay in touch with your attorney and let him or her know what is going on. Communication, communication, communication. It is critical. There is an old saying that when bad things happen, it is better to know about it sooner, rather than later. Nowhere is this more true than in the world of probation or diversion. If something happens that you need help with, you should not wait to tell someone. You need to let your attorney know right away. Why? Because quick action can often save a situation that may get worse with time. Number 5. Make regular payments on fines and court costs. Your probation or diversion may have with it the obligation to pay fines and costs. If so, pay special attention to the payment schedule or due dates on these things. Make regular payments. Why? Because one of the major reasons that people get motions to revoke filed against them is for not paying court costs, restitution, or fines. My experience is that judges are usually very good (up to a point) about granting continuances or making allowances for people who can’t pay. But here again, it’s all about good faith. If you haven’t paid anything and then shuffle into court and ask for continuances, it’s not going to look good. You want to have some sort of track record that shows a good faith effort to pay things off. Number 6. Consider a motion for early termination of probation or diversion. If you have completed the majority or all of the requirements of the probation or diversion (say, payments are done, class is done, community service is done, or whatever), many judges will consider terminating your probation early. And this is why it is so important to have built up a reservoir of good will with people. If you have participated, gotten your things done, and have shown good faith efforts, it may be productive to file a motion asking the judge to terminate the probation early. Your attorney will be the best person to consult with on this issue, so make sure you call him or her before you do anything. Number 7. Keep good records and save all your paperwork. This is one of things that can’t be emphasized enough. Did you get a drug and alcohol evaluation? Save the evaluation. Did you do community service? Save a record of the time spent. Did you make payments to the court or restitution? Save a record of the payments. You will also need to follow-up with people to make sure documents are getting where they should be getting. Remember, don’t just assume that some agency sent something to the court. Make sure it has been done. Keeping good records is key. Sounds common sense? Well, it isn’t. If you think you can get by during probation or a diversion and continue to use controlled substances or alcohol, you are mistaken. It will be discovered, one way or another. And this is not a good way to go, obviously. And if part of the probation or diversion is to stop contacting certain people or persons, make sure you understand that no contact means no contact. That means direct or indirect. That means email, text, phone calls, whatever. Even if someone contacts you first, do not respond. You will be the one who pays the price. If you can keep these seven points in mind, you will be well on your way to having a quick and painless probation or diversion. And the easier it will be to get on with your life. This entry was posted in Criminal Defense Attorney Kansas City and tagged attorney, diversion violation Overland Park, probation violation johnson kansas, probation violation Kansas City by bankruptcyinfokc. Bookmark the permalink.